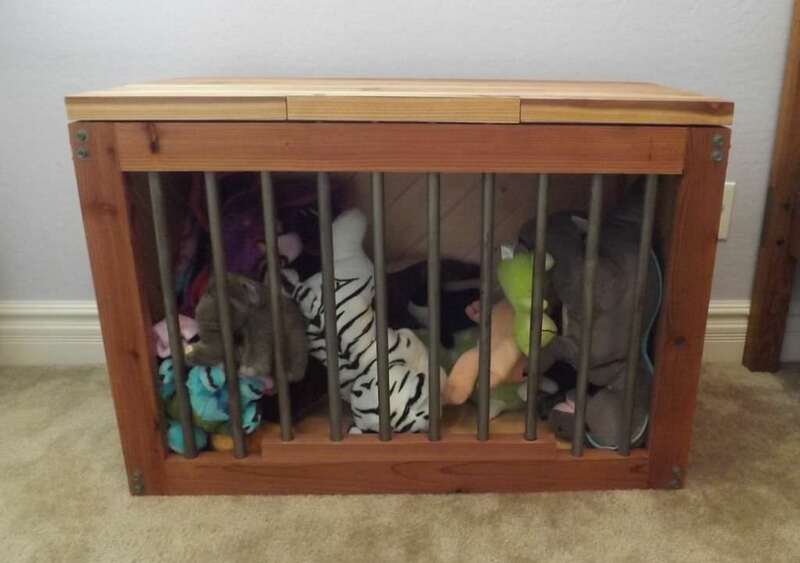 If your kid’s toys are scattered all over the house- you know you need some sort of organizing solution. You’re in luck- we’ve collected a bunch of toy box blueprints. 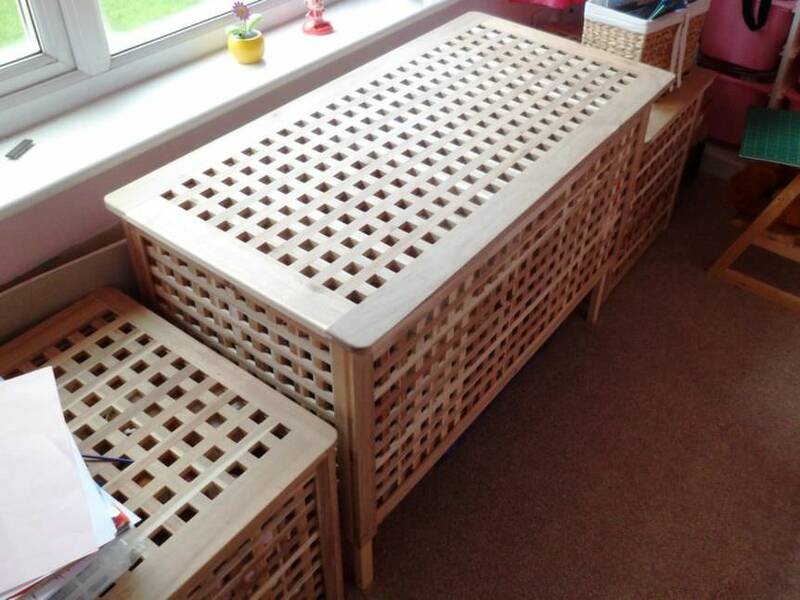 This way you can stylishly organize your children’s playthings. There are some pretty cool plans on this list: #8 is bin built to look like a Humvee; #4 is a huge, wooden cube; and #6 is a slow-closing toy box. 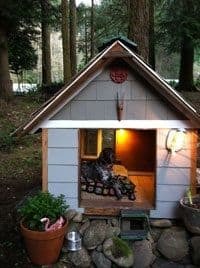 Whatever your DIY aptitude, there’s certainly a plan on this list you can figure out over the course of a couple weekends. Scroll through and click the ‘View Plans’ button to check out the project plans! 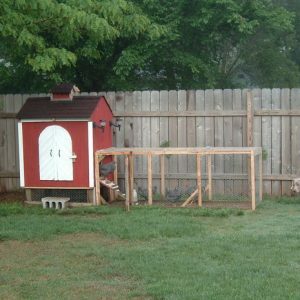 If you’re like this builder, you have some old pallets hidden somewhere in your backyard or storage locker. 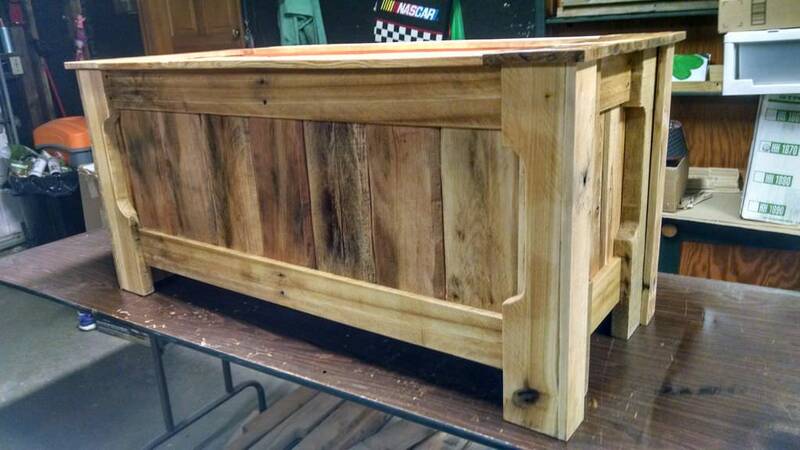 Put them to good use by making this basic chest. As far as materials and supplies go, you’ll need wood, glue, a sander, nails, a saw, and a hammer or drill. Since you’re working with reclaimed wood, you might not be able to make exactly what you had in mind — take measurements, sketch things out, and lay your pieces out to see what kind of shape you can build. 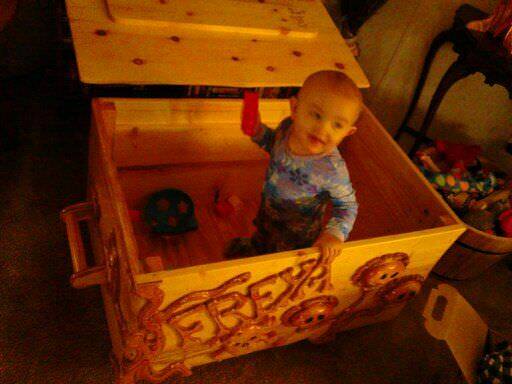 Then you can start sawing, assemble, and even paint the chest. If you chose not to color it, don’t forget to fully sand and polish it. 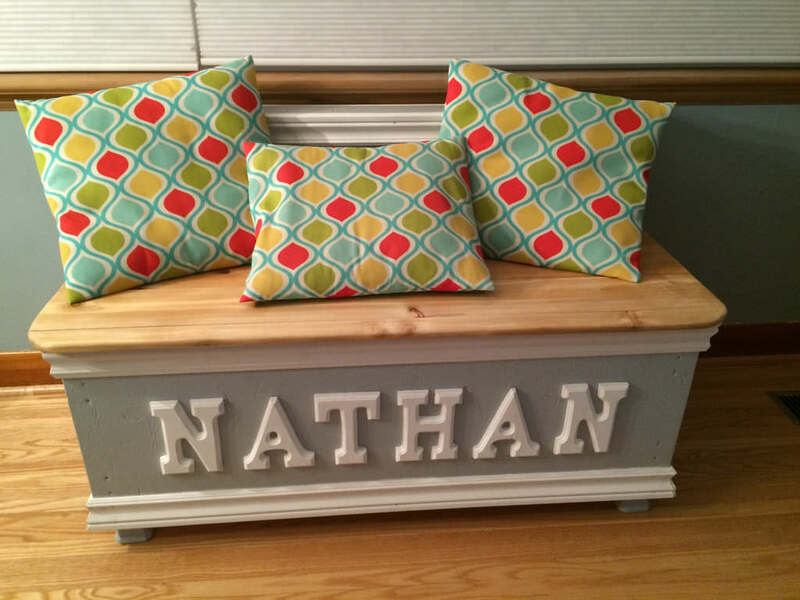 If you have only one child, consider making this monogrammed chest that also serves as a piece of furniture. This is a fitting DIY for parents who want something functional yet aesthetic pleasing in their home. The tools and supplies needed are a bit extensive, but the builders have laid out specific measurements in an easy to follow set of directions. Because the artistic aspect is so important, you’ll need to be selective about choosing your wood, sanding them, and painting them. The builders also added a peel and stick wallpaper to the inside of the chest — not only does this look interesting, but it saves you from having to sand the interior. 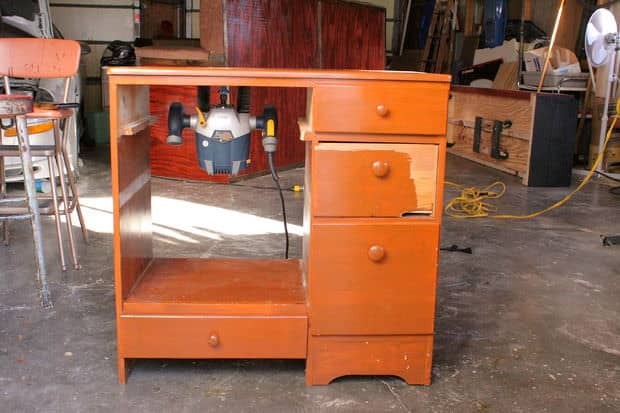 One builder had the ingenious idea of making a truck shaped chest. This way, their children can have an interactive experience when retrieving and putting back their games. This can also be modeled after your kids’ interests — you can replicate a pirate ship, fire engine, etc. If you’re on a budget, an old tire for the wheels can be found at a scrapyard or tire shop and the wood panels can be bought at a hardware store, if you don’t already have any. Taking the time to measure and accurately cut your shapes is very important. You can also finish this with a variety of small details to make it more realistic, like a license plate, a steering wheel, plastic headlights and taillights, etc. 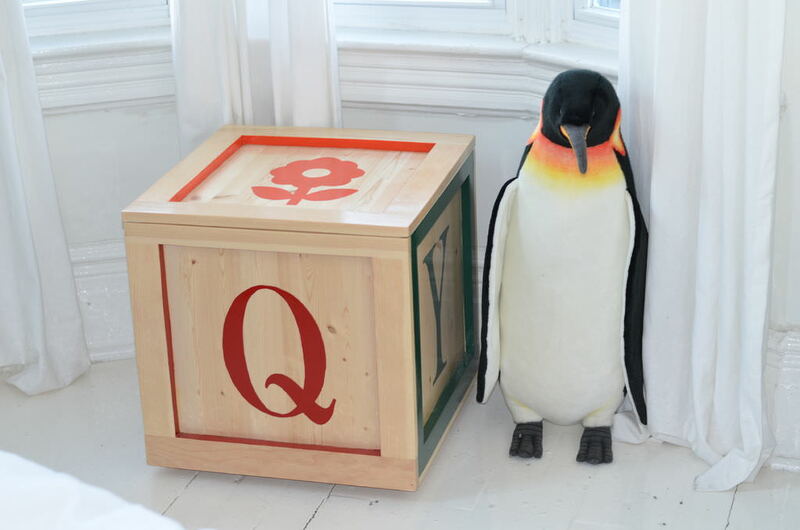 A cute play on toy letter cubes, these make a fun and unique storage space. You’ll need standard materials like a drill, a saw, paint and glue, hinges, and screws. If you’re unsure of your painting skills, follow after the maker of this DIY and create stencils of the letters and patterns. For convenience, you can even attach wheels to the bottom to make this easier to move around the house. 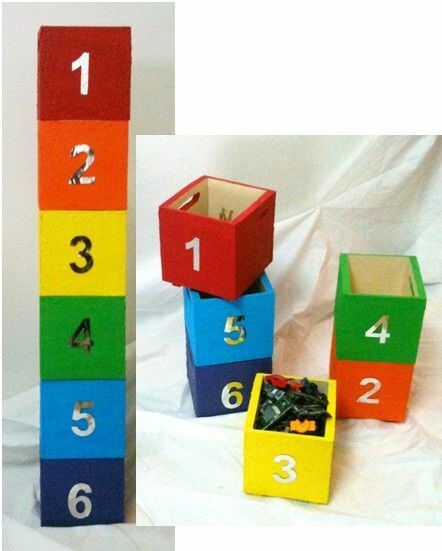 Just make sure to make the cube a reasonable height for your child, so they can easily access everything inside. If you want something truly one of a kind, this might be the right project for you. Carve all of your child’s favorite things out of wood; the builder used sunflowers, a skull, and her name. Your child can even help you paint and decorate these embellishments. These can actually be screwed into an existing toy box. You can also make your own from scratch and incorporate even more customizations. This is a relatively simple DIY and is listed in only four steps. As always, just make sure to polish and sand everything when you’re done. Rough edges, wet paint, and loose nails are a real hazard for your children and pets. This in-depth tutorial gives beginners a great guide for making this from scratch. Most importantly, you’ll need to figure out how big you want the bin, what shape it will be, and if it will be stained or completely painted. You’ll need some hinges and screws, wood glue, a drill, a hammer, and a few more things. If done correctly, the lid will slowly close itself so you’ll never have to deal with the sound of the top slamming shut. You could also use this recipe to make bins that double as ottomans and other storage solutions. 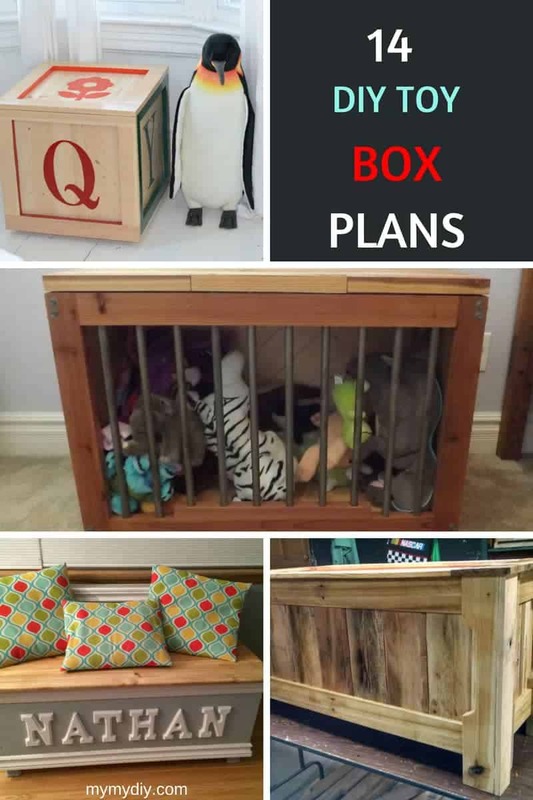 If your child is a lover of animals and zoos, this might be the DIY for you. Playing off this idea, one of the sides of the chest has bars. For easy access, you can leave the top open or chose to make a lid for the top. The designer used tubes of electrical conduit, though you may be able to use something you have lying around your home. You’ll also need wood, nails, screws, a drill, power saw, and a few other supplies. This will definitely take a few hours to perfect, though it is sure to be rewarding. This could also serve as an “off limits” bin — if your child is on punishment, for example, put their favorite toy in here while they’re on a time out. This a perfect solution if you’re short on space or just want to consolidate. 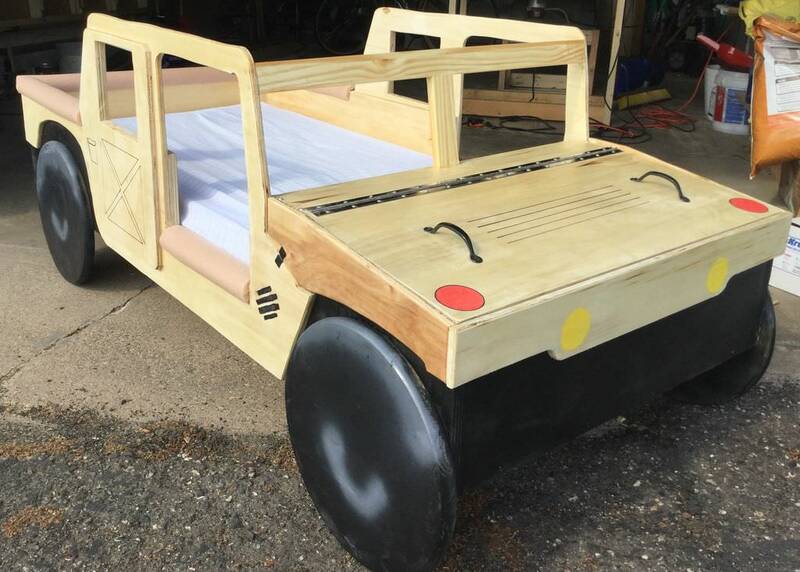 The builder crafted a bed for his toddler that is shaped like a Jeep station wagon — the toy storage area is under the engine hood. 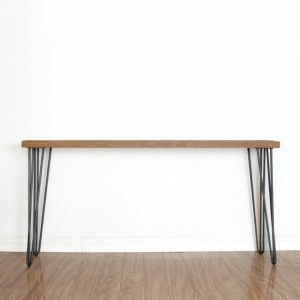 A semi-experienced crafter may need to tackle this DIY, as your measurements and woodworking have to be exactly right to this to come together. You and your child can also get creative with this. For example, you can use actual tires for the wheels, or something soft like pillows/fabric. Doors can also be added for a more finished look, though they may make your little one a little claustrophobic. 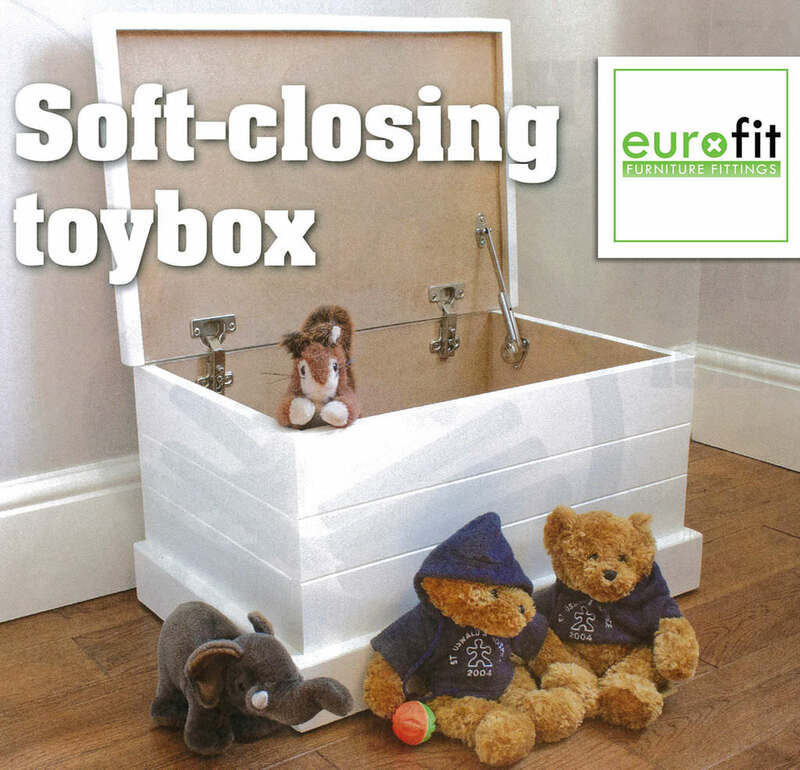 If you’re a visual learner and your child is on the more feminine side, this traditional toy chest is perfect for you. The builder only uses ten supplies, such as aspen plywood, paint, sandpaper, a brad nailer, hinges, and wood glue. He carved out two hearts and even painted butterflies on the front and back. If you’re not this artistic, try printing out templates or using stickers. If built properly, this should last many years of wear and tear. You can also scale these measurements to make the bin larger or smaller, based on your needs. 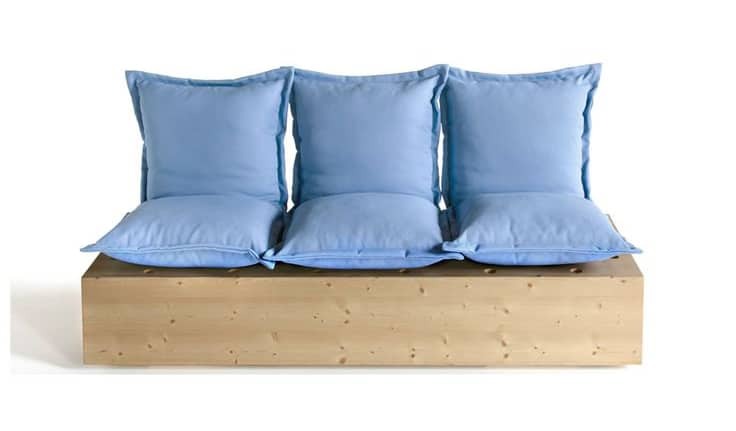 It is more than likely that you have a piece of furniture going unused in your home. Transform that! This designer worked off of a forgotten storage bin. By adding a few new touches, such as cartoon posters, cardboard, and chalk paint. When using an old storage piece, don’t forget to clean it thoroughly and make sure it is kid friendly (aka no rusting nails sticking out). After sanding and painting it, you can design it however you please. 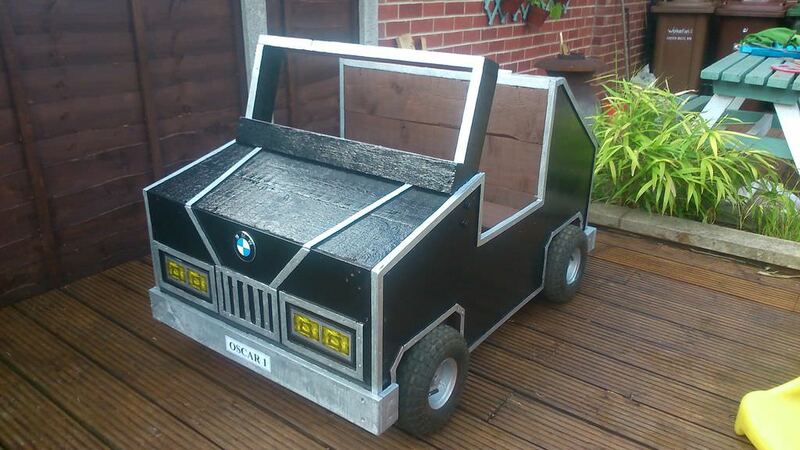 This can be themed a variety of ways and tailored to your children. Adding a chalkboard on all sides would also be a great idea, making this fully functional and even more fun. As most people with children would agree, space at home is limited. 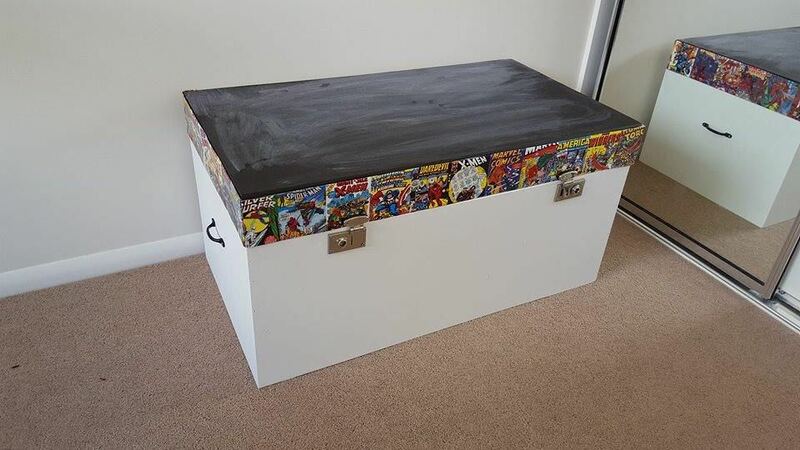 This DIY solves this problem by transforming an IKEA product into a desk with storage for games and toys. You’ll need some basic supplies like a miter saw, wood glue, softwood, hinges, and a power drill. You can also paint this, though the original builder didn’t. The only problem with this design is that you can’t leave books or a laptop on the desk, as it needs to remain empty for ease of access to the inside. However, it is a great solution for a quick and simple work area. This a super simple DIY you and your child can have fun creating. The only materials required are an old snack box, scissors, glue, and paper. 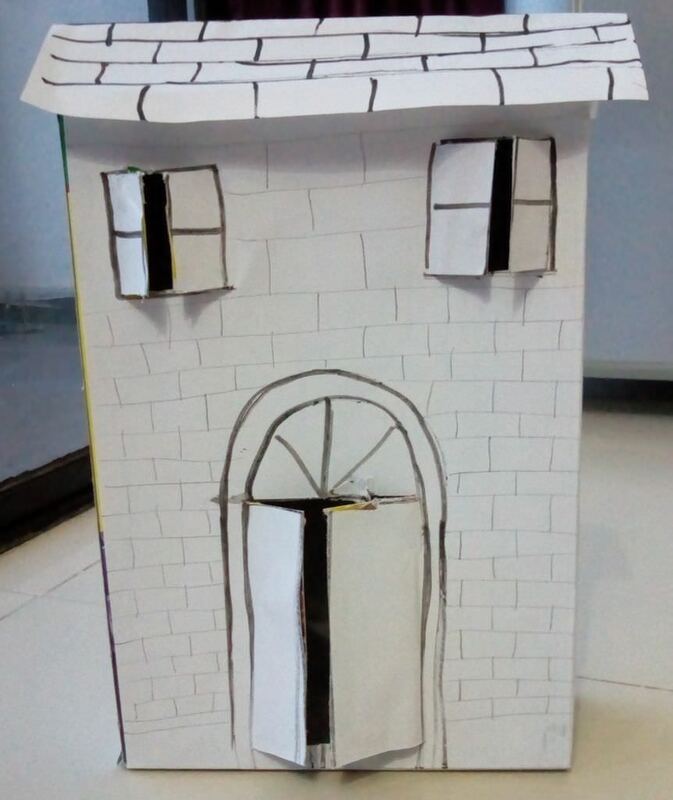 Once you cover all of the sides of the box, you can really get creative and have a good time designing the house. 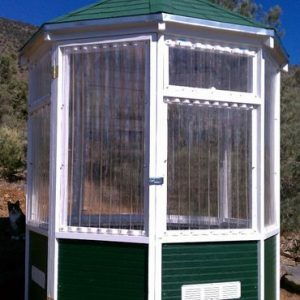 The builder suggests adding LEDs or a battery operated light inside, to light up the home. If you’re feeling ambitious, you can attach multiple cartons together to make a bigger structure that you could actually store things inside of. Have any old pellets sitting around? This designer did, and he made his son a brand new storage solution that’s also fun to play with. Comprised of paint, old trolley wheels, and some garden tresil, this is a fully interactive way to get your children excited about being more organized. This project is also very customizable — the builder modeled his after a BMW car, painted it black, and added details like a license plate and taillights. 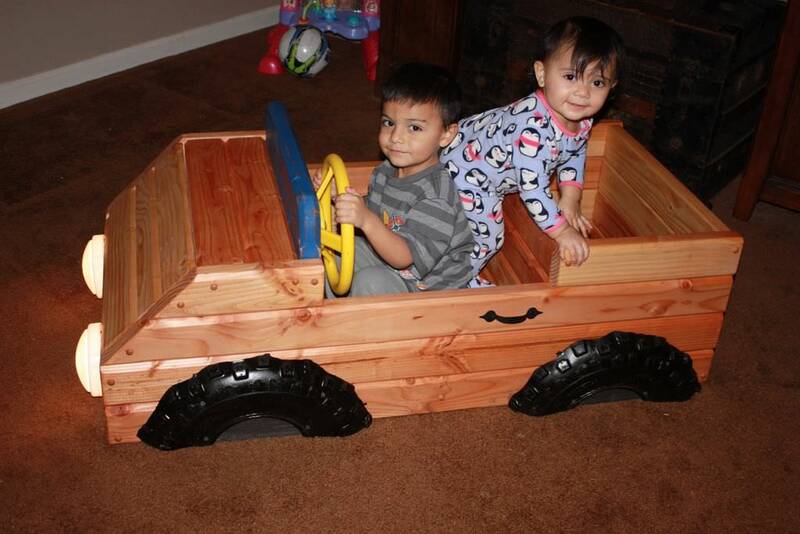 While not necessary, you and your child can take this design in tons of different directions. this DIY is also beginner friendly and shouldn’t take more than a few hours to complete. Similar to the oversized block DIY, this builder made cubes that could safely be placed on top of one another. To do this, make sure each box has the same exact dimensions. To distinguish between them, use some artistic license and a combination of letters, numbers, colors, and shapes. This another project that requires little skill and supplies that children can help with. To make the boxes, you’ll need some wood, screws, glue, and a hand saw. You can also buy basic, unfinished squares from your local hardware store or Home Depot for a decent price. One professional organizer started an Ask Me Anything post and she broke down a bunch of different tips for getting organized in your home. She responded to a particular post about organizing a three-year-old child’s room- so that it wouldn’t be so cluttered with random toys. The mother says that very quickly her child’s room became swamped with all sorts of clutter and they have been unable to train their daughter to pack away all of her paraphernalia into the plastic bin organizers they purchased. The organizer responded saying that they should probably have a little bit more patience with their child and that their daughter will likely grow out of this behavior as she matures. That said, one tip was to gather all of the toys, remove the ones that are irredeemably broken, and then get their daughter to pick the favorites to keep. That way you can eliminate a bunch of clutter very quickly without any hurt feelings. Another interesting tip she had is preventing meal toys from places like McDonald’s to enter your home. She says that these inexpensive, junky objects can actually be dangerous if they are laced with lead paint or cadmium and they just aren’t high-quality, anyway. Another interesting tip that she shared was to solicit from her daughter where she thinks her playthings should be stored. In this way, you’re shifting the responsibility, and the child is more likely to comply if it seems to be something she initiated on her own. Yet another helpful tip this professional organizer provided was to have her daughter categorize her toys and then list her favorite categories. This is a way to organize things- perhaps by storing away the least favorite category and only leaving out the topmost category. Using a timer is also a preferred strategy- setting it for five minutes and encouraging the child in that timeframe to put away as many of her playthings as possible. This sort of gamifies the process- the child might even find it fun and amusing to see how quickly she can organize her play area. Another brilliant idea is to select a charity with your daughter- when she figures out a favorite charity she can donate to, you guessed it, you’ll give away some of the toys on her behalf. The biggest tip, though, was the last one, in which she advised that every time a new plaything comes into the house one has to go- this is called the one in, one out policy. Over at One Crazy House, they collected 23 different ways to organize your children’s playthings. They include slide out drawers, rolling bureaus, custom mounted shelving, and even color-coded fabric storage bins. Another blogger says that the easiest way to keep everything neat and tidy is to utilize extra space in your home like a basement. If you have a basement, you can erect a storage shelf and use plastic bins to tuck away clutter. Indeed, there are a lot of ways to organize things- some of it is hardware while some of it is psychology. If you end up making any of the plans on this list, just let us know in the comments section. We’d love to feature your build here.